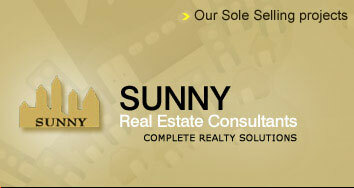 When it comes to find most suitable property in Mumbai, Sunny Real Estate Consultants is the first preference for most of the people including commercial and business fraternity. Sunny Real Estate Consultants offers tailor-made services for all types of property transactions including sale, purchase, mortgage, lease, rent and other related services. Besides, the company provides in-depth analysis, to-the-point assessment and special guidance to its clients, who intend to invest in the real estate business. Sunny Real Estate Consultants was established in the year 1996 with an objective to provide professional property consultancy services to its clients throughout Mumbai and in particular, Navi Mumbai. In the last one decade, the company has not only earned valuable experience to deliver prudent and effective services to its customers but also earned the name, faith and trust of its clients.